Solange is habitually outspoken on racial issues and has been one of the most consistent artist’s voices off wax in the movement against police killings since Trayvon Martin’s death in 2012. Today, sick from the recent killings of Alton Sterling and Philando Castile, she posted a few seconds of a cappella lines from Syreeta’s “Black Maybe” off the singer’s 1972 self-titled debut on Instagram. She captioned the short clip with: “Been singing Syreeta’s ‘Black Maybe’ over and over again trying to comfort my weary heart…But what is comfort when the images of slain black bodies left to bleed are sketched into your being…over and over again.” She also posted the lyrics (penned by Stevie Wonder) to the song which appear to be typed in the notes app on her iPhone. They are harrowing in that they were written over 40 years ago and still register so clearly today. 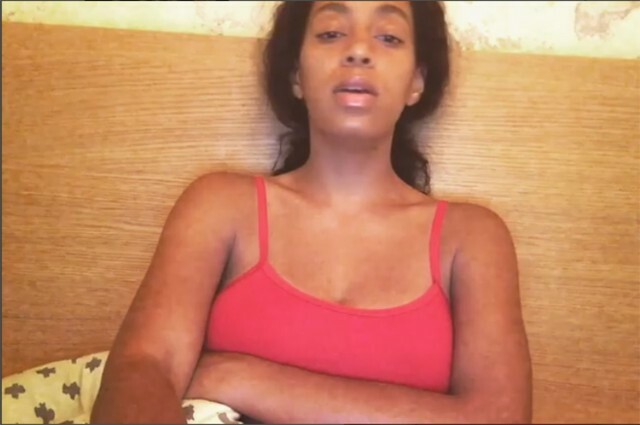 Solange joins Chance The Rapper and Drake in expressing their feelings over the recent shootings. It’s hard to see light at the end of the tunnel; this country just seems like a deep, dark, infinite blackhole for black men and those who love them at the moment.